Venezuelan skier Adrian Solano falling repeatedly in Finland last week (left) as Venezuelan expats in Miami (right) gather to raise funds for college scholarships back home. For some of his countrymen, Venezuelan cross-country skier Adrián Solano’s performance in Finland last week was uplifting – even though it involved a lot of falling down. To others it was mucha pena. Really embarrassing. Video, which has since gone viral, shows Solano tripping and tumbling throughout the race course – leading social media to dub him The Worst Skier Alive. Not surprisingly, Solano had never even trained on actual snow before. (He had only practiced with wheeled skis back in Venezuela.) But he eventually made it across the finish line. So whether his countrymen cheer him or jeer him, the man called the world’s worst skier at least gave them a brief distraction – from the fact that Venezuela is the world’s worst economic disaster. 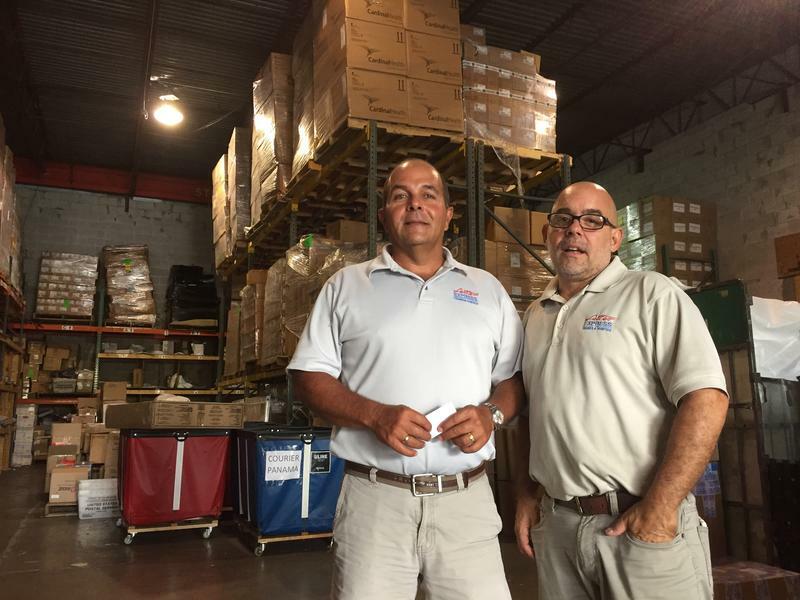 Read More: Does Survival in Venezuela Depend on Shippers in Miami? Venezuela is experiencing the worst GDP implosion in modern Latin American history, in spite of all its oil. Food shortages are so bad that last year the average Venezuelan lost 19 pounds, according to a new survey. “The Venezuelan people are on their knees,” says Alfredo Meza, who is in Miami promoting his Venezuelan investigative news site Armando.Info. Meza says the political situation is just as dark. 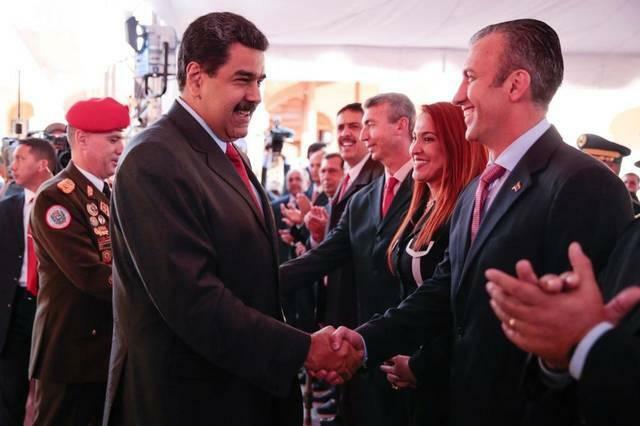 This month the U.S. accused Venezuelan Vice President Tarek El Aissami of aiding drug traffickers. It froze millions of dollars of assets his alleged front man, Venezuelan entrepreneur Samark López, allegedly bought for him here in South Florida – including Brickell condos. “The corrupt people in Venezuela want to enjoy their dirty money in Miami,” says Meza, whose site recently exposed how one of López’s companies last November imported a massive purchase of real Christmas trees from the U.S. for Venezuela’s socialist government. The deal allegedly involved greatly inflated prices – which created kickbacks for Venezuelan officials. El Aissami and López deny the U.S. charges and Armando.Info’s story. But their case is just the latest reminder of what critics call the rot inside Venezuela’s leftist revolution, which has been in power since 1999. Still, few expect the country’s collapse to bring down its regime. Polls show the vast majority of Venezuelans want to get rid of President Nicolás Maduro. But he and the socialists, the Chavistas, have created what most Venezuela observers now call a repressive dictatorship. And the military supports them. 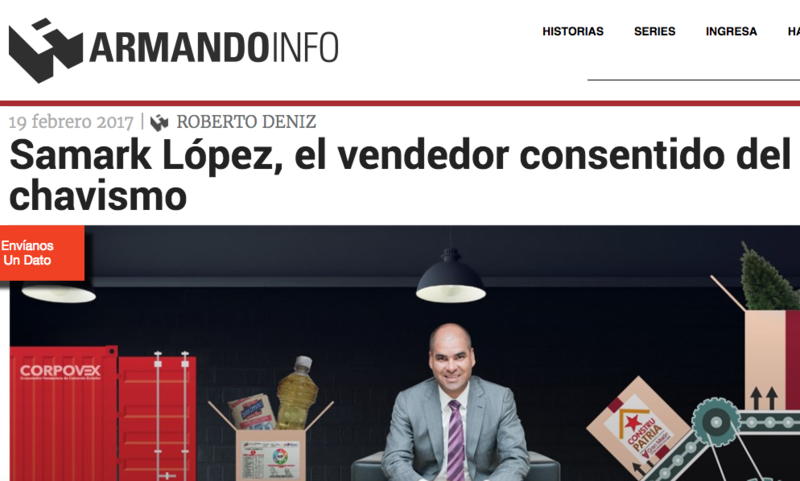 Venezuelan investigative news site Armando.Info with its story on controversial entrepreneur Samark Lopez. As a result, Venezuelans are leaving at a faster rate. Since 2000, almost 2 million have emigrated – about 7 percent of Venezuela’s population – and most are coming to South Florida. Weffer, an editor for another independent Venezuelan news site, Efecto Cocuyo, says chronic plagues like medicine shortages and police crackdowns near her Caracas neighborhood led to her exodus. But expats like Weffer hope someday to return to Venezuela. And many feel guilty about the vast money and brain drain their country is suffering. Ninety percent of those leaving Venezuela have college degrees – and that vacuum of educated citizens makes Venezuela even more economically and politically vulnerable. So aside from sending back food, medicine and money, many Venezuelan expats are making another kind of donation: To the college scholarship funds of their Venezuelan alma maters. Last week more than 100 expats gathered at Belen Jesuit prep school in Miami. They were alumni of the private Andres Bello Catholic University, or UCAB, in Caracas. Because of Venezuela’s currency collapse, just $600 U.S. can pay for an entire undergraduate career at his expensive university. That gives alumni dollars here a chance to give a lot of poor kids a quality college education there. “It allows a much needed synergy between the diaspora and the less fortunate back home,” says Virtuoso. The UCAB event included an auction of items like a basket of aged Venezuelan rum – which Doral immigration attorney Maria Trina Burgos got for $550. For Burgos, keeping independent Venezuelan universities like UCAB alive in the face of increasing government pressure is a way of staying engaged in her native country’s democracy movement. But there’s just one problem. Father Virtuoso also told the alumni crowd that some 40 percent of UCAB’s students today leave Venezuela once they graduate. “Unless we break that cycle, Venezuela will keep falling into more poverty,” says Virtuoso. Falling – like Venezuela’s most famous skier. Does Survival In Venezuela Depend on Shippers In Miami? The forklift’s working overtime at Vikom Export, one of the hundreds of shipping companies nestled in the warehouse labyrinths of Doral, just west of Miami. Almost all of Vikom’s shipments go to Venezuela – and they’ve doubled since last year. 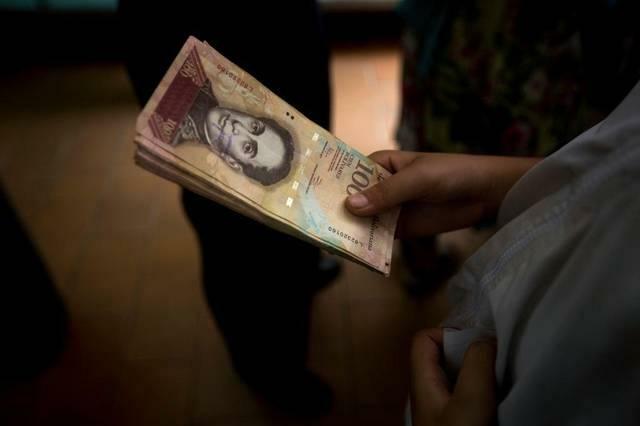 It’s official: Venezuela has entered hyperinflation. It is only the seventh country in the history of Latin America to have that dubious distinction. And no one’s seeing any light at the end of this tunnel. Technically, hyperinflation occurs when month-on-month inflation tops 50 percent for 30 days straight. Oil-rich Venezuela got to that point earlier this month. But it’s already had the world’s highest inflation rate for years. Its 2016 annual inflation may rise above 500 percent. Venezuela’s socialist government is known for its revolving door of ministers. 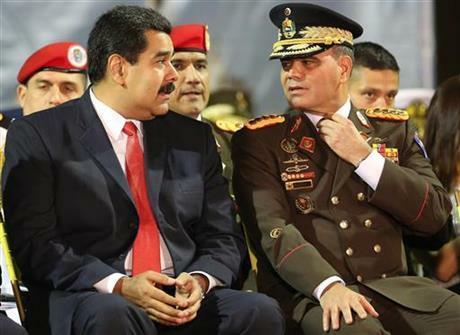 So it wasn’t unusual Wednesday night when President Nicolás Maduro changed his vice president. But this shift is cause for concern – especially in South Florida.